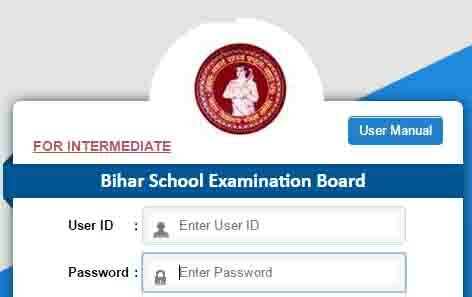 Bihar School Examination Board for Annual Examination 2019 Registration Form Accepting Online. Before going to tell the completed process about the BSEB 12th Registration Form for 2019 Annual Examination 2018. This Registration Form can be done online only by the school/College principal, not by the cyber or Students individual. Hope that person who is authorized to fill up Form searching for how to fill Bihar board 2019 Registration Form online, Website for Bihar Board 2019 Exam Registration Online and what is the fee of BSEB XIIth Registration Form. 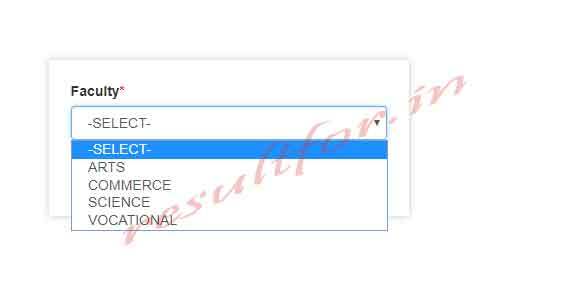 BSEB 2019 Exam Form Fill UP Process Stepwise described below. While filling of the examination form needs to provide the following detail. www.resultfor.in website is suggesting to enter the students’ detail as per the matriculation mark sheet. Registration latest update: Students for appearing in Bihar board intermediate annual examination 2019 yet not got registration Board has given the last chance to them. They can contact their respective school hardly last by 4th October 2018 and submit their registration form and their registration will be done. Then after Board will not give any other option for registration. Know all about BSEB 2017-19 Matric / Inter Exam Registration. Date of birth, Matric pass Board name and Board roll number & roll code with passing year. Mobile Number & Email Id and Aadhar number. 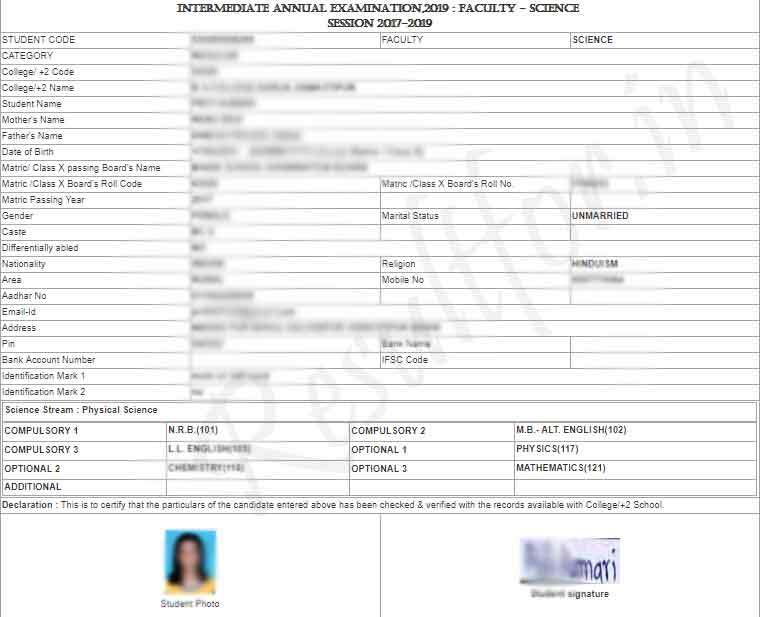 Address, Marital Status, Bank name and two identification of students. The subject detail in which students study and going to appear in the examination. Students parent and students signature in Hindi & English. Before the online form should be verified by the principal. Enter User ID which has been provided by the Board. The Password will be sent to Respective School/College Principal/Administration mobile Number. A Dashboard will be Open with full detail of School College, Check details if need then makes modify and update. 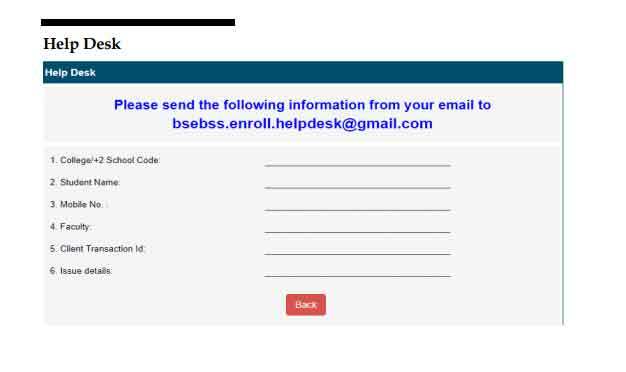 After Clicking on Add New Students A New Form will be open as shown below provide completed detail. After entering all details upload the photograph and signature and click on Save. From will be saved and added in the registration list. 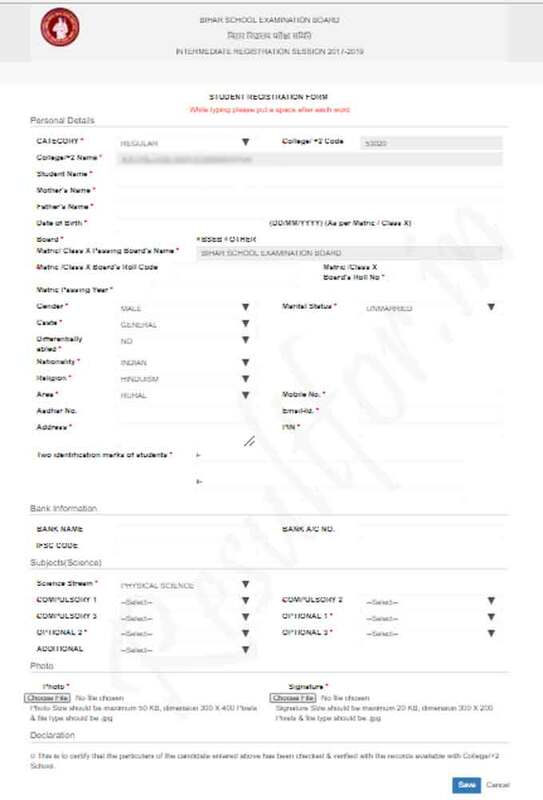 then the new form can be filled by click on Add New Students are students details can be checked out or details can be viewed or other action can be taken as below image show. Form after the submission and click on View option eye icon detail will be shown as below shows. link to25/09/2018 tak khula hua tha correction ke liye. aapko apne school ke prinicpal se sampark karna chahiye tha. .. ab jaise hi koi update aayega hum suchit karenge. iske regarding koi bhi jankari milegi hum suchit karenge. kal yani 4/10/2018 tak karwaye .. phir nahi ho payega. apne school se sampark kijiye , school se hi download karke milega.